A new partnership report has shown that a third of our breeding and wintering bird species are declining significantly – emphasising the urgent conservation needed to protect some iconic species. The report also illustrates how Wales is home to a large proportion of the UK populations of many breeding and wintering species. 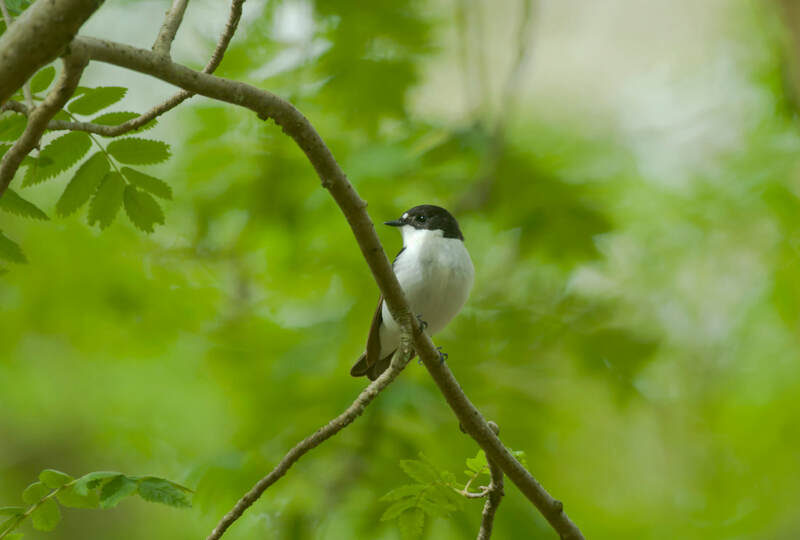 Wales hosts more than half of the UK breeding populations of pied flycatcher and redstart, as well as more than quarter of the UK breeding populations of honey buzzard, goshawk, wood warbler, red kite and raven. Wales holds important seabird populations, with a global responsibility for Manx shearwater, where up to 60% of the world’s breeding population are found on four Welsh Islands (Skomer, Skokholm, RSPB Ramsey and Bardsey). Another island off the coast of Pembrokeshire, Grassholm, holds the third-largest gannetry in the UK. Most bird monitoring in Wales is undertaken by volunteers who contribute over 5,000 hours of their expertise every year in surveys utilised in this report. Citizen science plays a crucial role in saving Wales’ species from extinction and there are plenty of opportunities for people to get involved, helping with the science, through practical intervention or by showing support for wildlife across Wales. To find out more about how you can get involved, please visit the websites of the organisations behind the report.